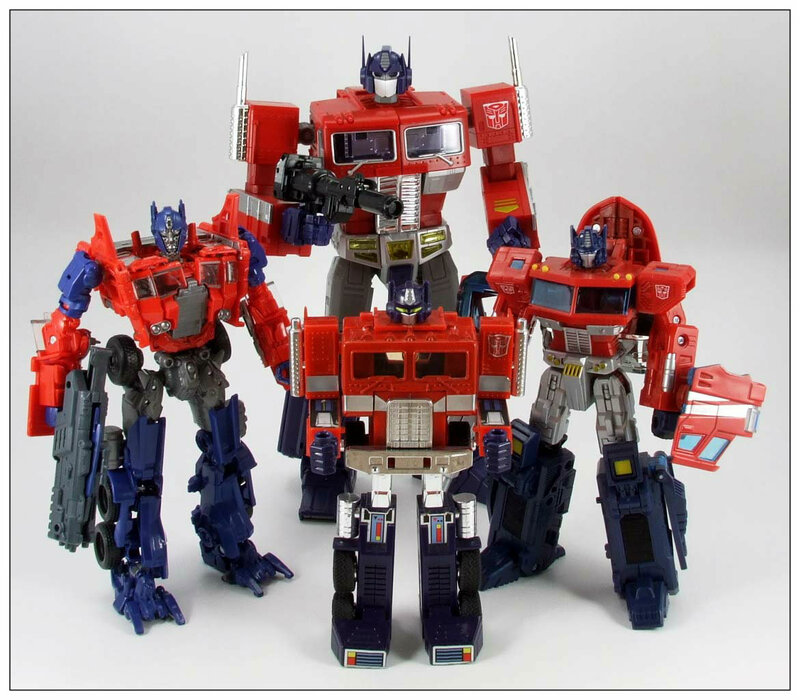 Optimus Prime is the largest, strongest and wisest of all Autobots. Feels his role is the protection of all life, including Earth-life. Fights unceasingly to defeat the Decepticons. 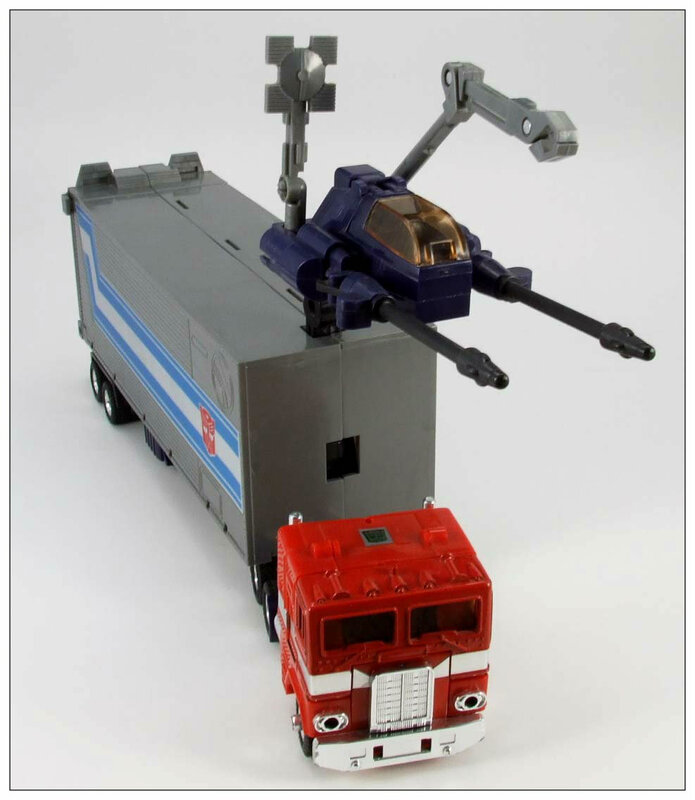 Splits into three autonomous modules: 1) Optimus Prime… the brain center known as the Commander 2) Roller, the Autobot scout car… a spy who operates up to 1200 miles away; and 3) Autobot Headquarters… the combat deck equipped with a versatile mechanic/artillery robot. Injury to one module is felt by the other two. 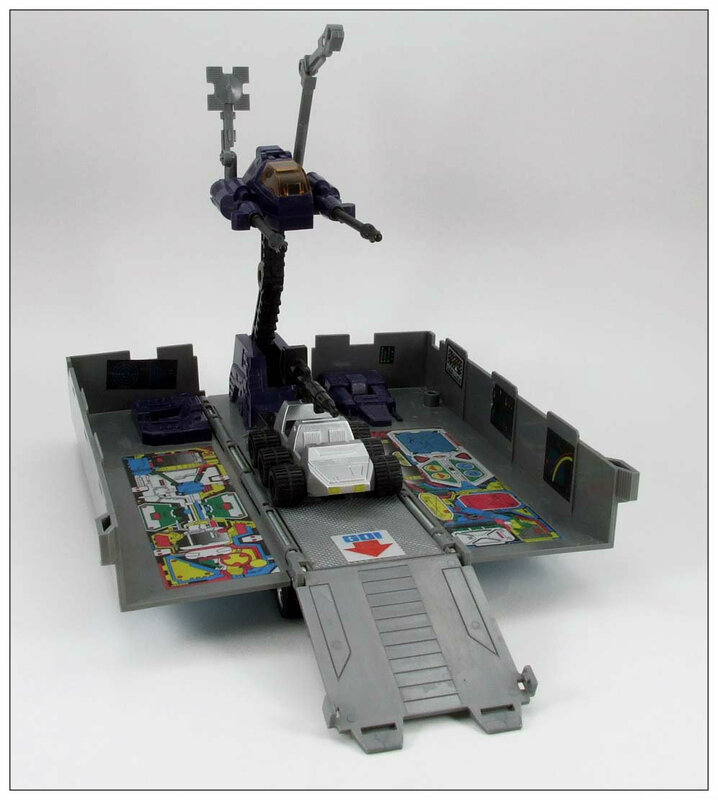 This entry will always be extremely special to me, most reasons of which have nothing to do with this remarkable toy, but the memories attached to it. My Dad passed away earlier this year in February to cancer. I’ll never be okay with him being gone, it continues to be an emotional roller coaster, especially coming to terms with my two month old son never knowing his Grandpa. When my Dad was in the hospital for surgery, I gave him this Optimus Prime, hoping it would comfort him. During my Dad’s battle with cancer, Optimus Prime stood on his dresser overlooking his bed, a constant reminder of happier and easier times. It took me several trips to my Dad’s house after he passed to finally take the dust stained Hasbro reissue back home. I had finally told myself if my Dad couldn’t be here to watch my son grow up, then this Optimus Prime will. That’s when it hit me, a realization that these pieces of plastic, these kid’s toys, can be so much more. They are outlets for the stress of life, they are pieces of someone’s passions, and in my case they are memories of my father I hold close to my heart. As part of the Hasbro 2002 Commemorative Series of reissues, I jumped at the chance to own this figure. 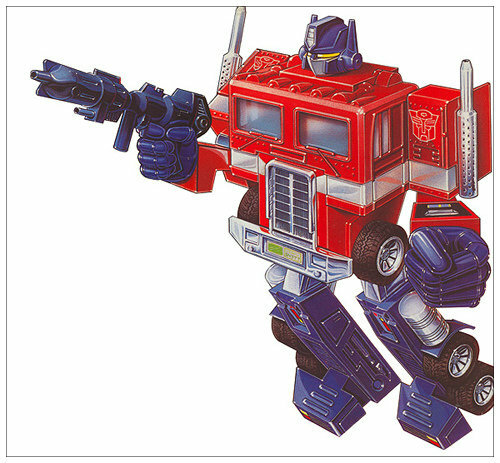 It was my 13th birthday and I had asked for this Optimus Prime. I remember opening this gift, thinking how small it was because I literally had no idea what it was going to be like, and then being totally mesmerized by the leader of the Autobots. 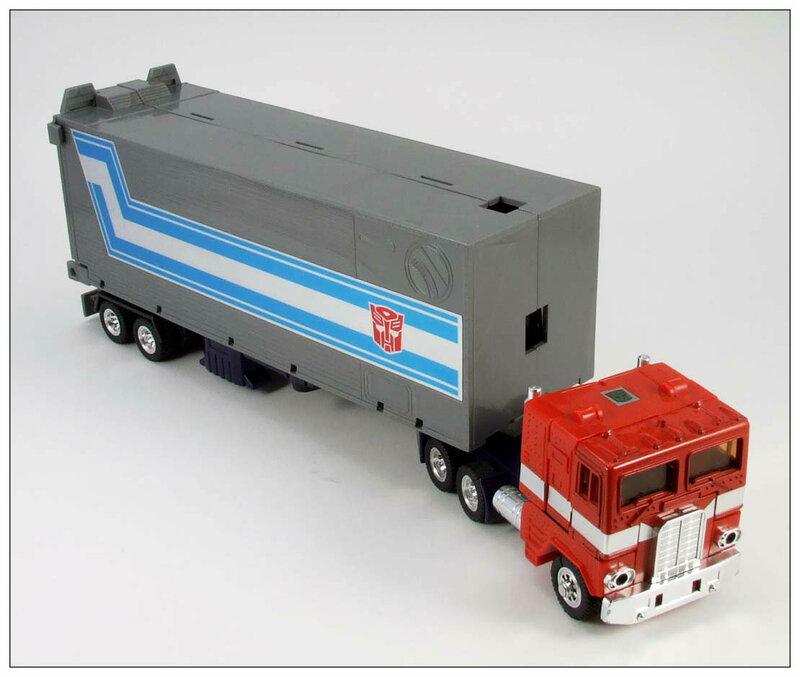 I still get chills thinking about how it looked in its Generation 1 style packaging; it will probably be the closest I will ever feel to opening an original G1 toy in 1984. It was incredible. The good thing about the most popular Transformer character that will ever exist? 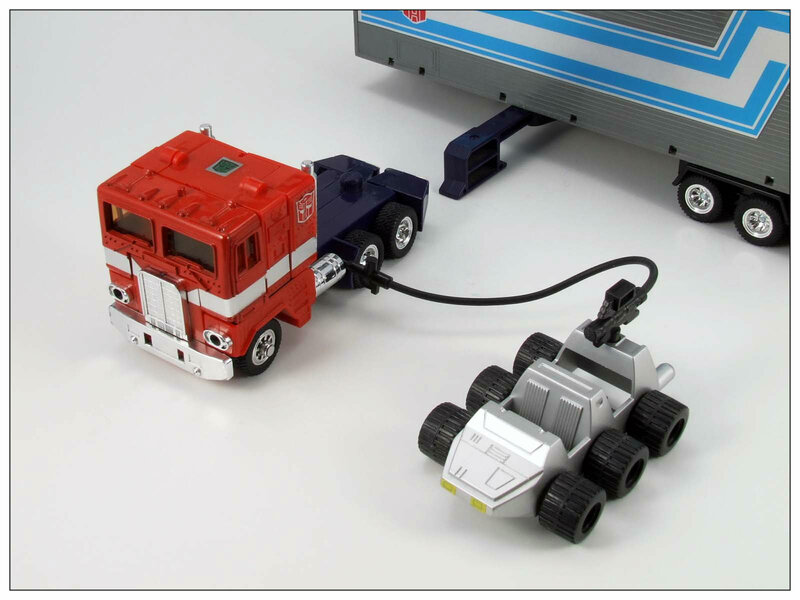 You will have a million opportunities to buy your very own G1 Optimus Prime toy. 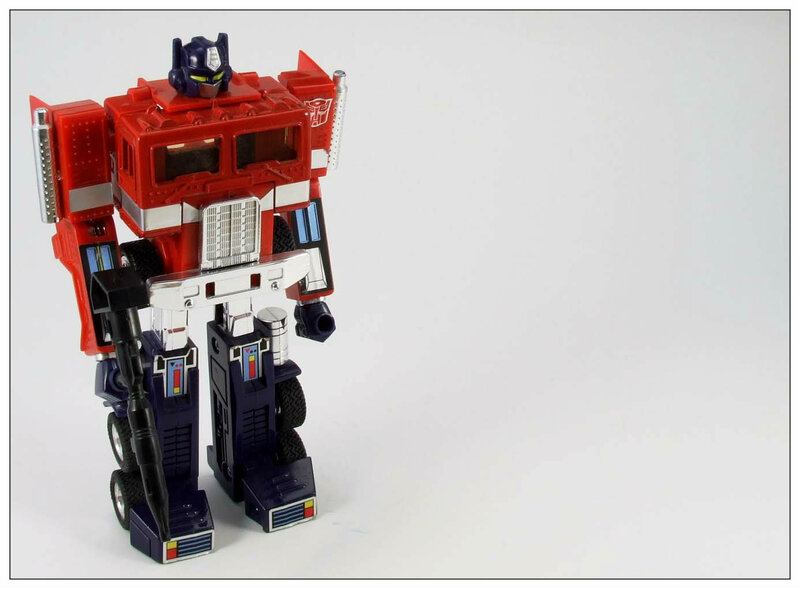 Search eBay, fan sites like TFW, online retailers … you will absolutely find a very good conditioned Optimus Prime that won’t break your wallet, weather it’s vintage or a reissue. Do your homework though, there are also just as many cheap knock offs that are easily spotted if you look for the telltale signs. 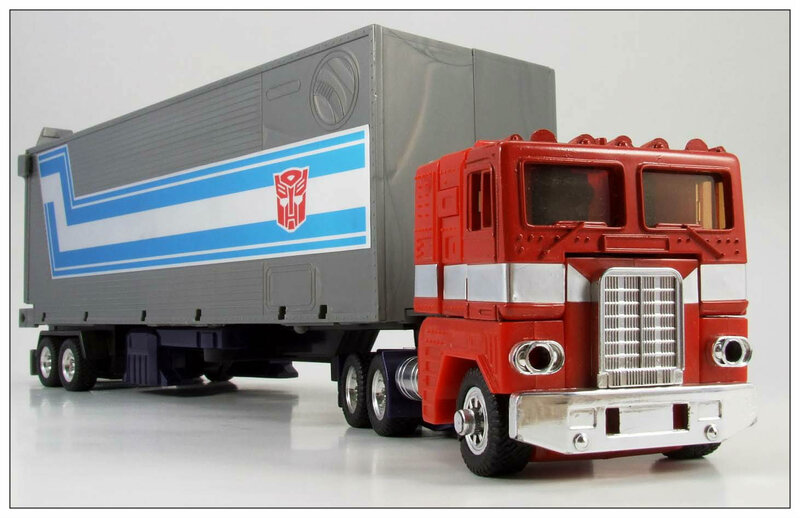 I haven’t come across a single G1 toy (yet) that looks better than Optimus Prime. 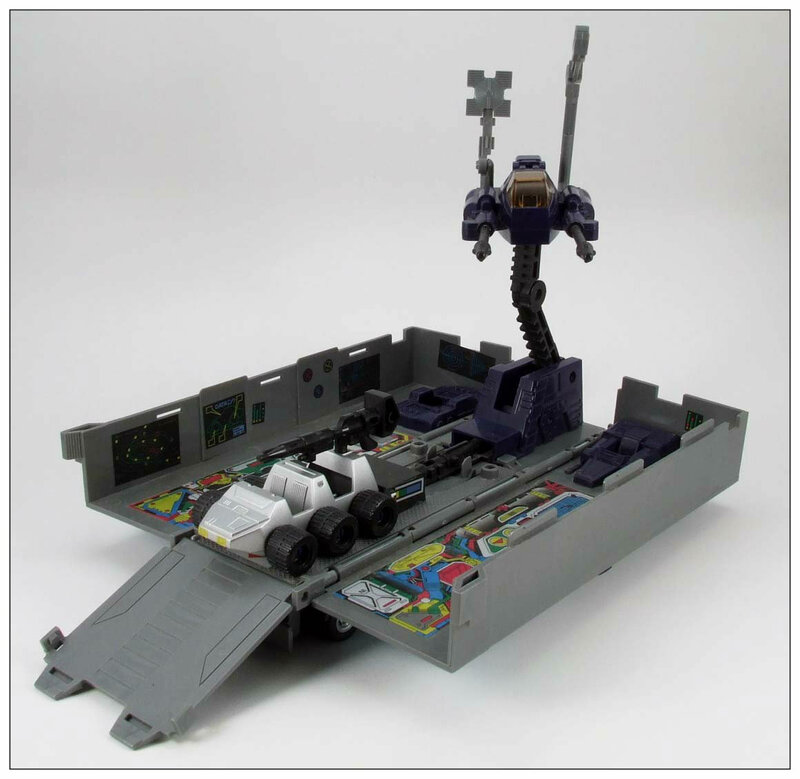 This is a remarkably cool vehicle and the play possibilities are seemingly endless! 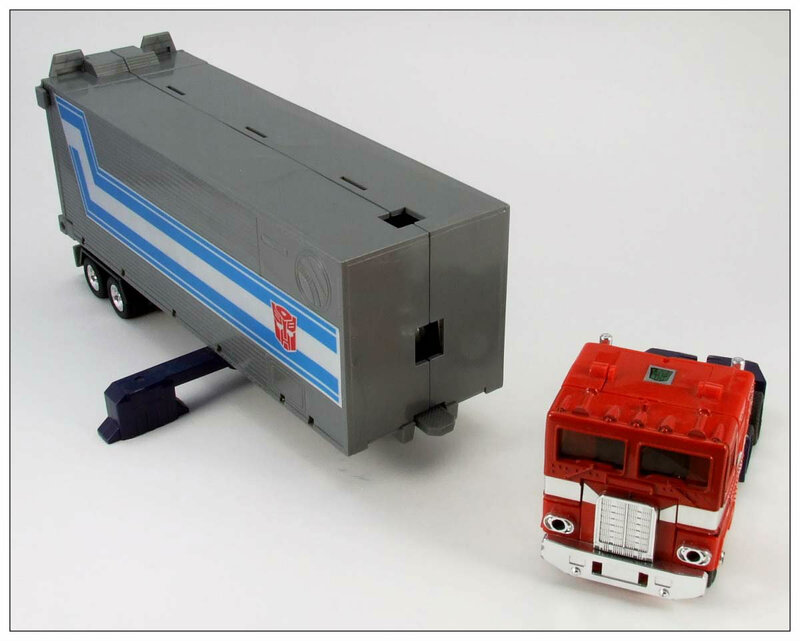 The ever-so-recognizable flat nose red cab, the grey trailer with Autobot stripe running the side; it’s literally one of the best Transformers toy a collector could have. It has the whole package of a Transformer done right: realistic rubber tires (that don’t seem to crack), extremely well placed chrome, beautiful paint pallet, and the list just continues to go on from there. 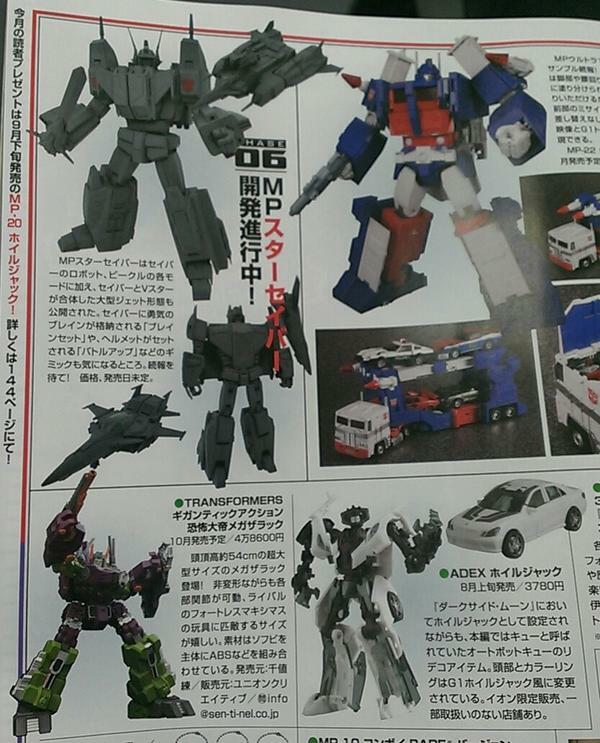 As I already gushed about, the possibilities are seemingly endless with Prime’s alternate mode. The trailer in particular is just loaded with fun extras and takes this alternate mode over the top! Prime’s little partner Roller is especially fun, being able to have a gas hose and Prime’s blaster attach to the top of the vehicle. 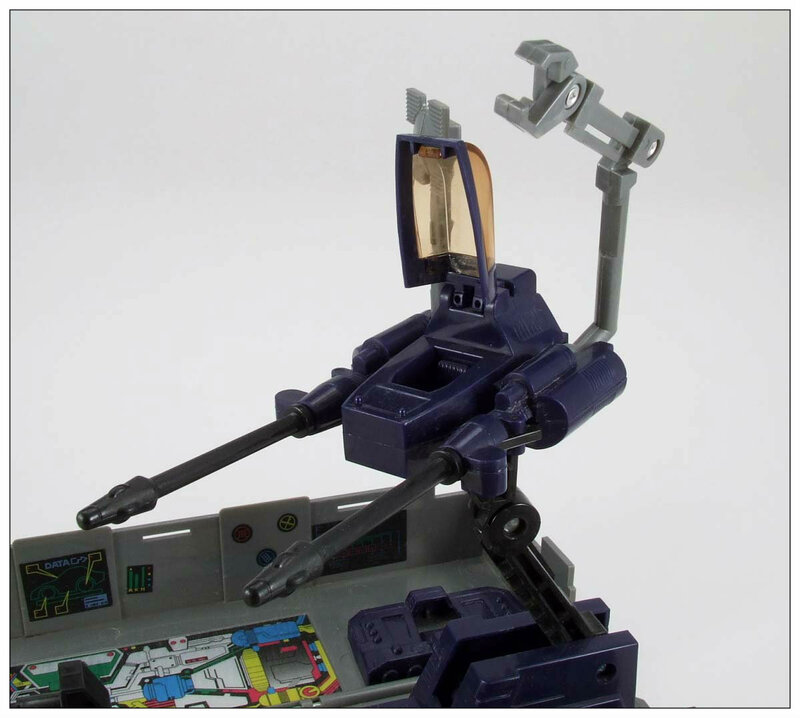 The trailer bay also features a launching gimmick in which you should be able to launch Roller out from; I say “should” because once again the reissue of this toy was modified and had the launching gimmick removed. 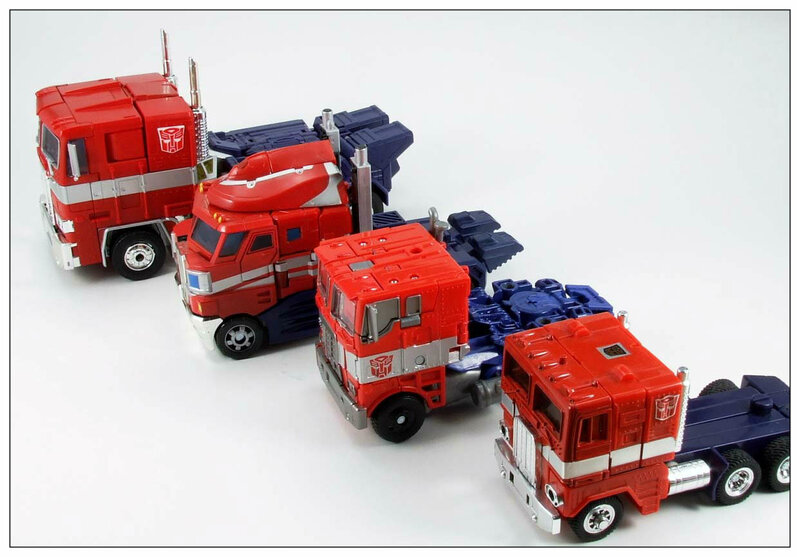 Despite the downgrades, I still would never tell collectors to completely pass on a reissue as it’s still brilliant. 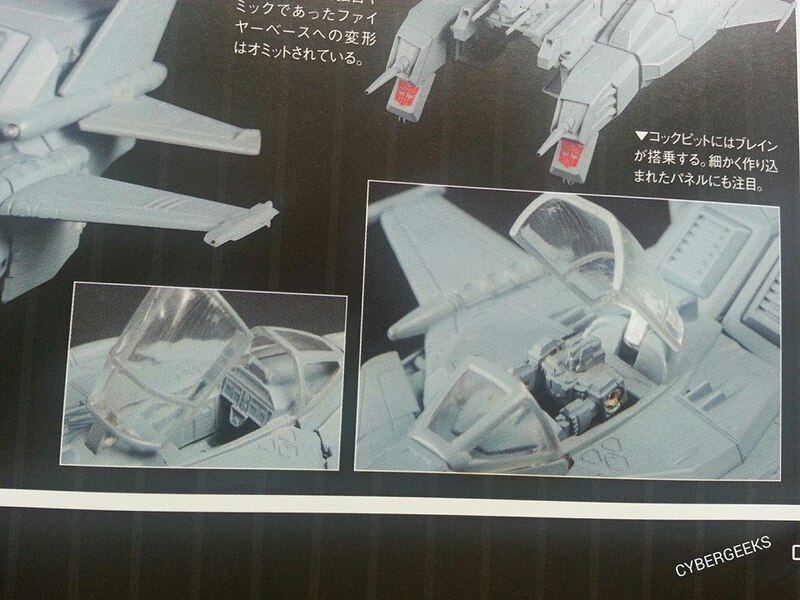 Another seat for a Diaclone pilot can be found on the repair drone. 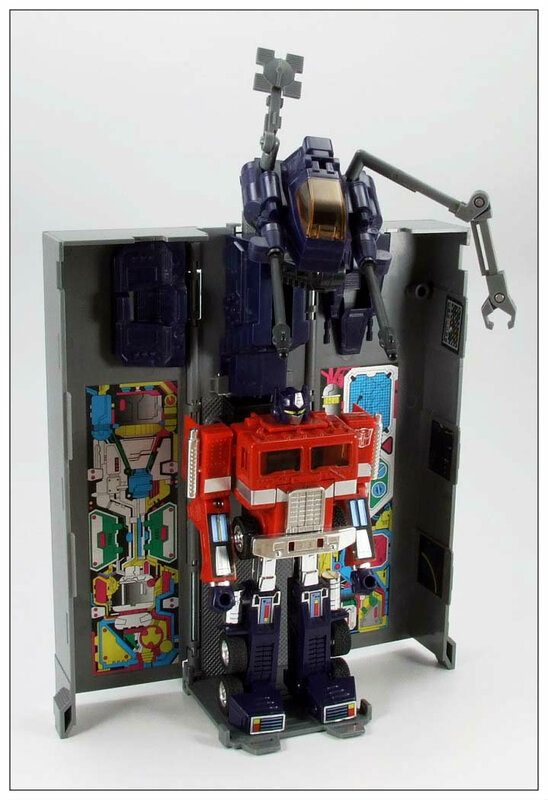 I don’t utilize the display as often as I should, but the trailer/combat deck can be positioned standing upright so that Optimus Prime can be repaired by the station’s movable arm (pictures of this below). 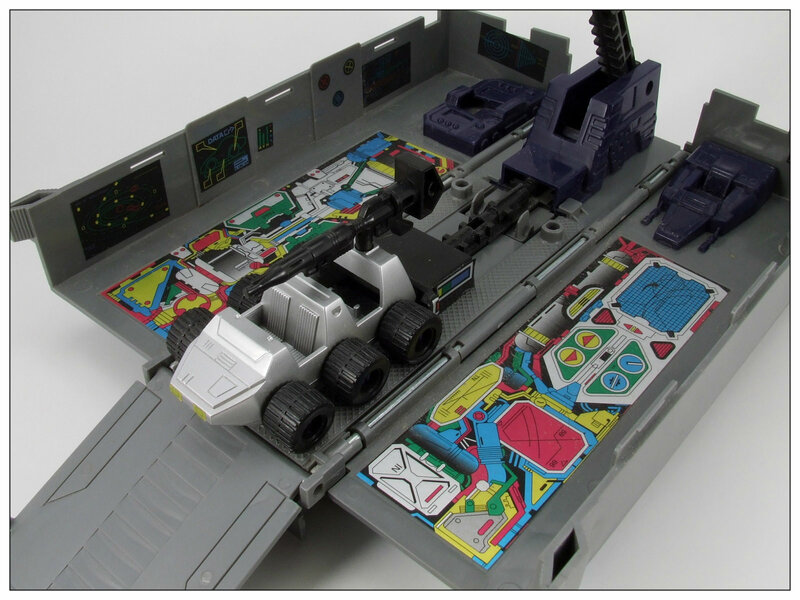 The play options and functionality that were designed into this toy are just awesome. It’s a true example of genius toy engineering. Remember that one scene in Transformers: The Movie when Optimus Prime rolls in, drives over a few Decepticons, and then jettisons from his alt mode to transform mid-air? 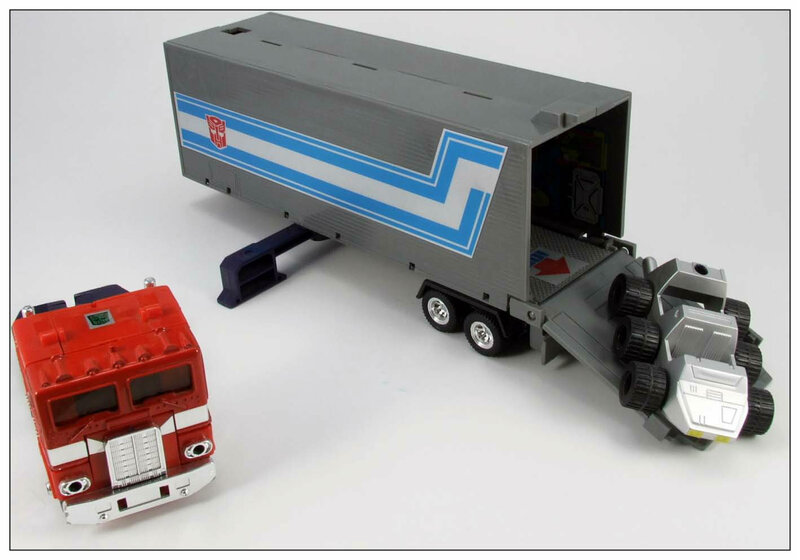 I still reenact that scene every time I transform Optimus Prime. 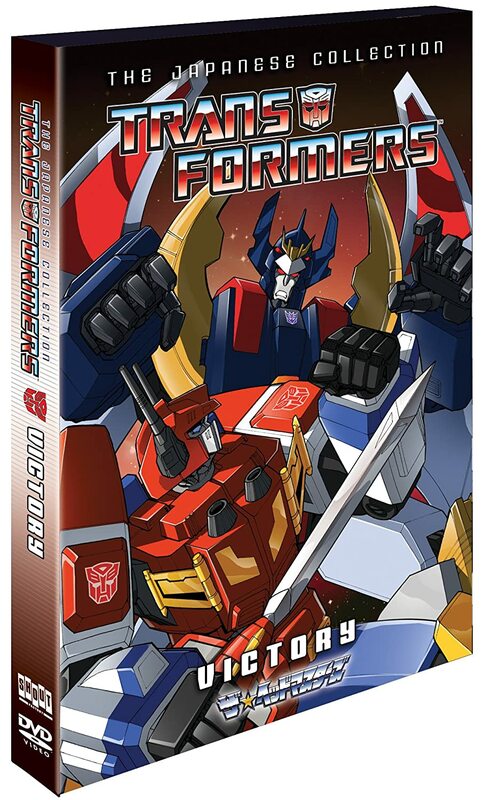 The general buzz in the Transformers fandom right now is that simplified transformations are hogwash; it’s dumbing down the product. 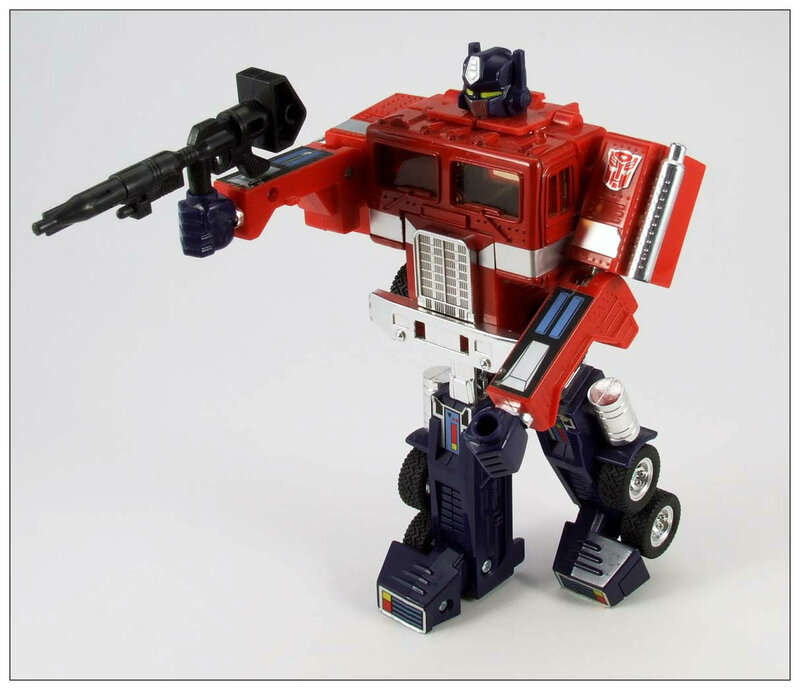 Well, G1 Optimus Prime is one of the easiest transformations you will ever find and it only strengthens the experience. It’s quick, fun, and the end result is a badass robot. Not nearly as dynamic as the alternate mode, Prime’s transformation to robot mode still brings the character to live. 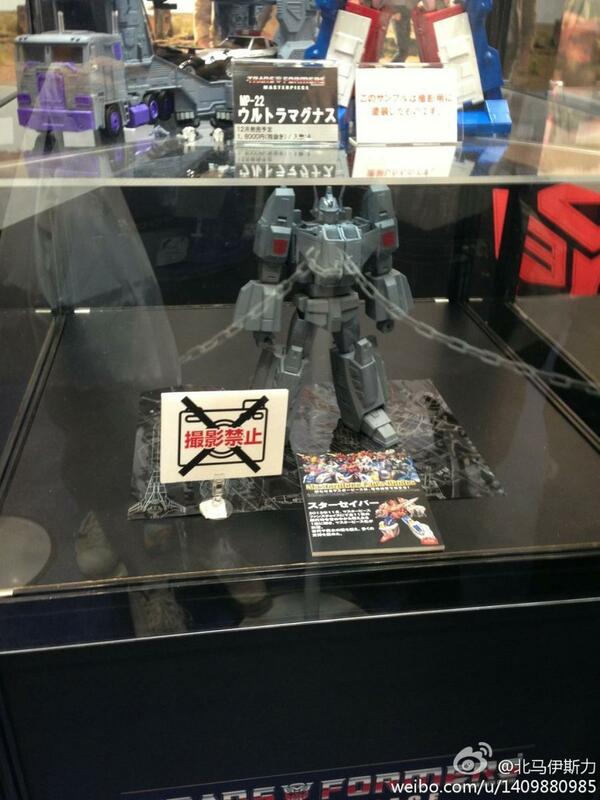 He’s also one of the most articulated as well, which is always a welcomed bonus with G1 figures. Turn the trailer to stand straight up and you have the repair mode mentioned before. Truly the total package. 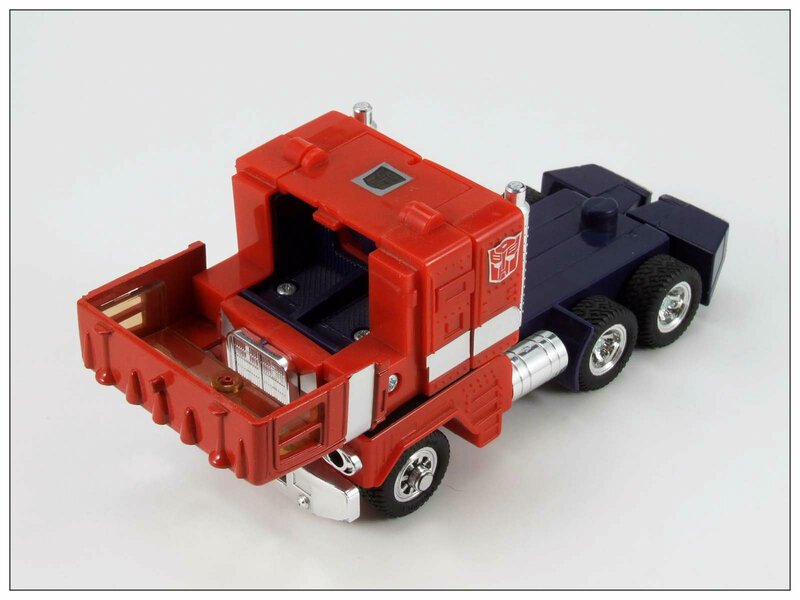 Unlike many other characters through the franchise’s 30 year history, Optimus Prime rarely departs from his roots of a semi-truck (a few fire trucks can be the exceptions). 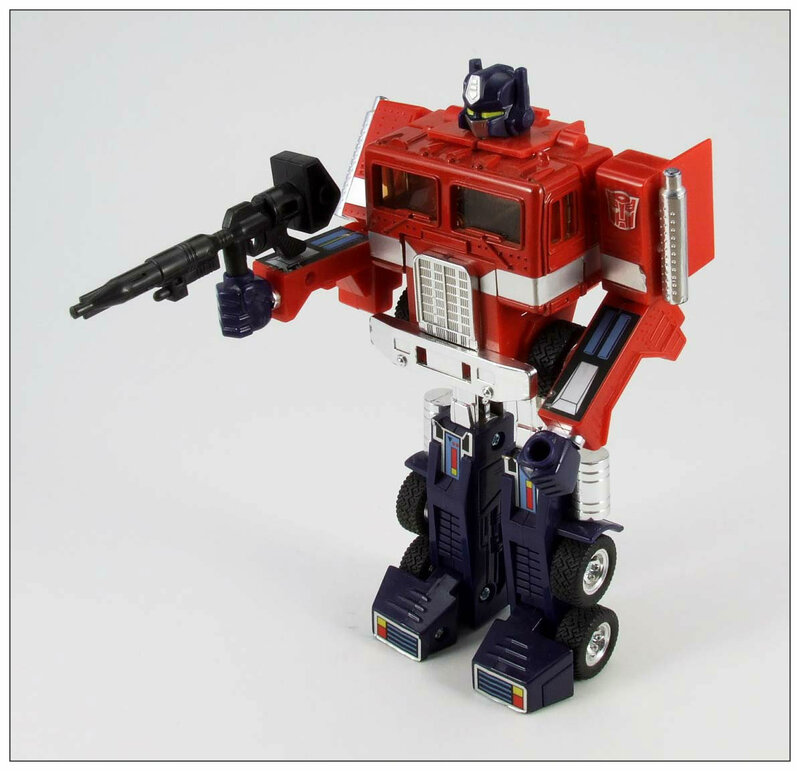 Through 30 years Optimus Prime has received a TON of fantastic new updates to his G1 form, starting of course with one of the most jaw dropping releases ever in Masterpiece MP-01. 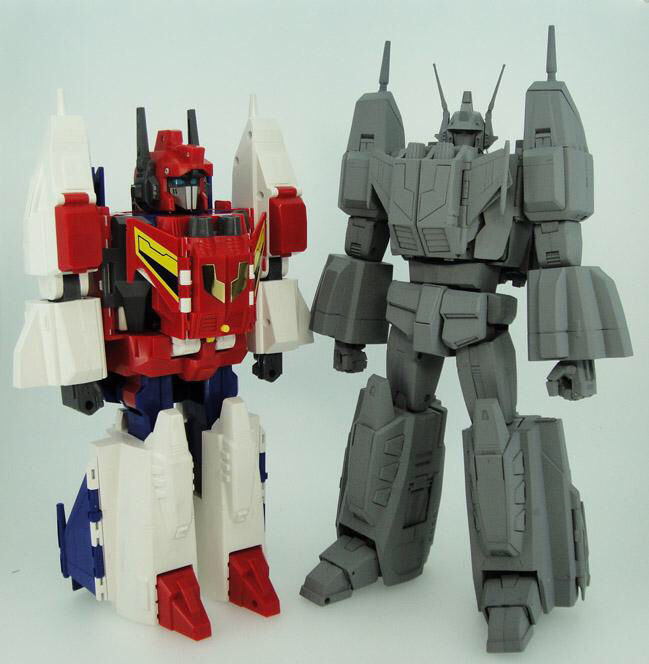 Despite being somewhat outdone by its version 2 attempt, MP-10, both Masterpiece figures capture nearly everything that is wonderful with the G1 toy. 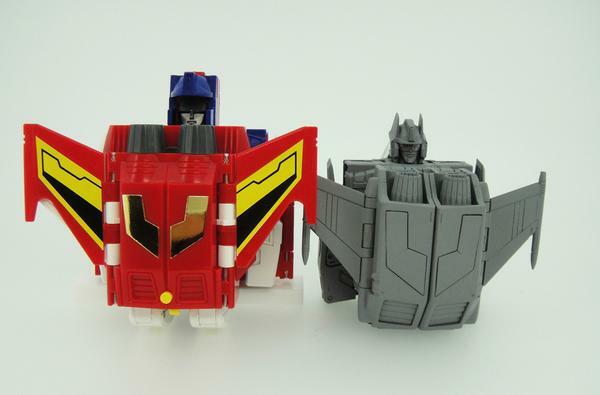 If you haven’t jumped on the bandwagon yet, the hype for MP-10 is real: find a way to purchase it. 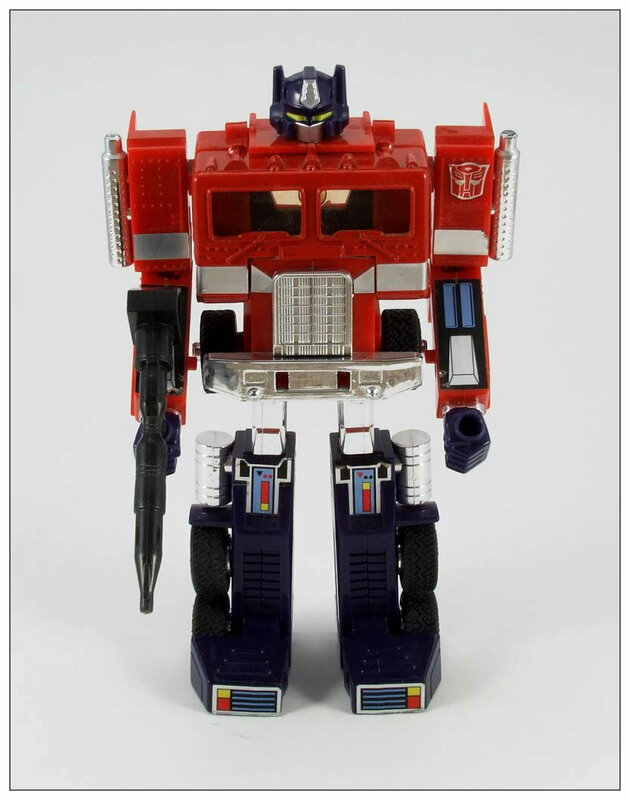 I initially did not want to write this article, because I still have prioritized plans to purchase a vintage Optimus Prime. It would be my Dad’s birthday today though, and writing this really pays tribute to him and what this toy meant to us. I see the comment all the time when I’m reading discussions among fellow fans: “They’re just toys!” Of course that statement is technically correct, but it’s only on the surface level. There are several reasons why there is such a passionate following of Transformers fans and it goes beyond grown men still buying toys from Toys ‘R Us. I’ve come to believe that at times it’s naive to believe these are just toys. For me, Optimus Prime is going to be a story I tell my son as he grows up, a story about his Grandpa and his love for his grandson. I never suggest anyone take this hobby too seriously, but we should also not discredit its emotional attachment. I’m grateful this toy kept my Dad comforted for as long as it did, and I’m even more grateful it proudly sits in my son’s room now.